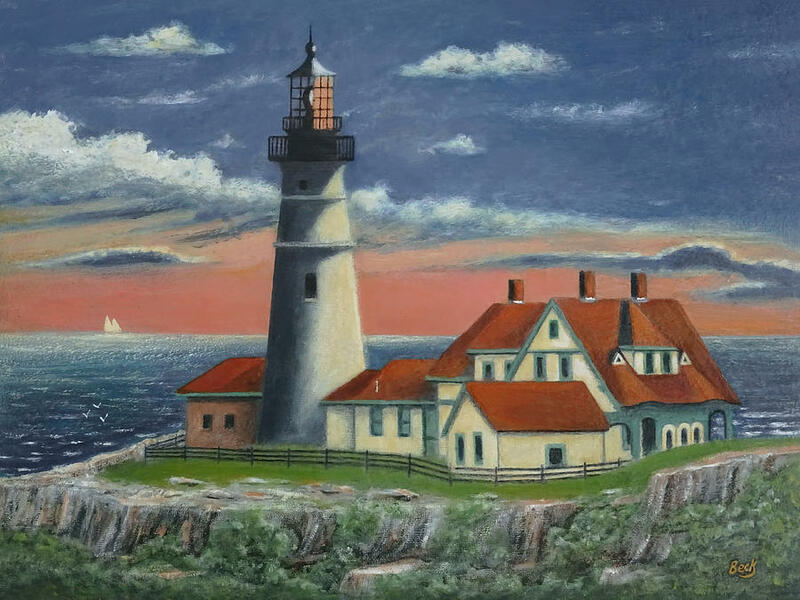 Portland Head Light is a painting by Gordon Beck which was uploaded on July 17th, 2010. 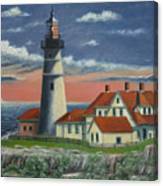 Completed in 1791,the Cape Elizabeth lighthouse is the oldest in the state of Maine. 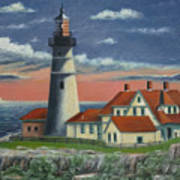 The light station tower, beacon, and foghorn are maintained by the United States Coast Guard while the former keepers' house is a maritime museum. Portland Head Light stands 80 feet above ground and 101 feet above water, The lighthouse looks much today as it did originally. Its beacon can be seen 24 miles at sea. Acrylic on board. 12X9-inch original. Best viewed large. Social media sharing always appreciated. Thank you for the feature, John...very much appreciated! 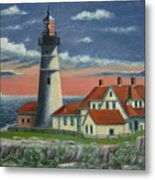 Many thanks for the feature, John...I appreciate the recognition and exposure! Thank you, Arlin. I appreciate your visit! Thank you, Carol. I appreciate your comment! Congratulations on your sale, Gordon. This is beautiful!